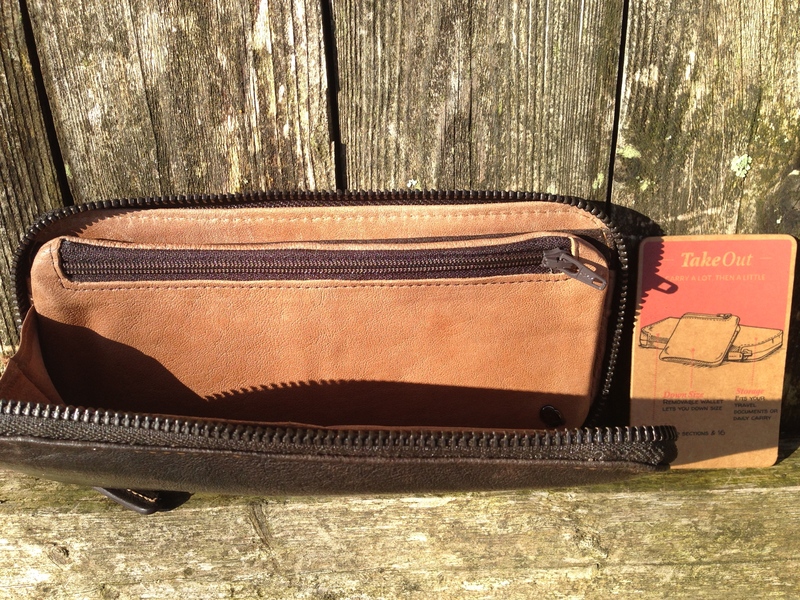 Bellroy – Take Out Wallet in Brown Java Leather Pricing | $129.95. I chose the Bellroy wallet because the design was unique. My husband carries a brief case to work, and I thought this wallet would be a nice wallet for him to as he has to carry multiple forms of ID as well as insurance cards and other documents. The style is not very trendy, but I thought it would be a great option for him because of its size and construction. When I first opened the package, I noticed that the leather was soft to the touch and felt nothing like the cheap, stiff leather lower quality wallets are made from. The dark brown color reminded me of fresh coco beans and gives the wallet a manly appearance, something you would not be embarrassed to pull out of your pocket. The wallet has a minimal visible branding and is made from “Vegetable Tanned | Responsibly Sourced | Nontoxic Leather.” I always prefer to support companies that try to be socially responsible while making money. There are 16 card slots to store credit cards, insurance cards, money etc. As a parent you have to carry insurance cards and other information for your children so a wallet with extra storage space can be very useful. 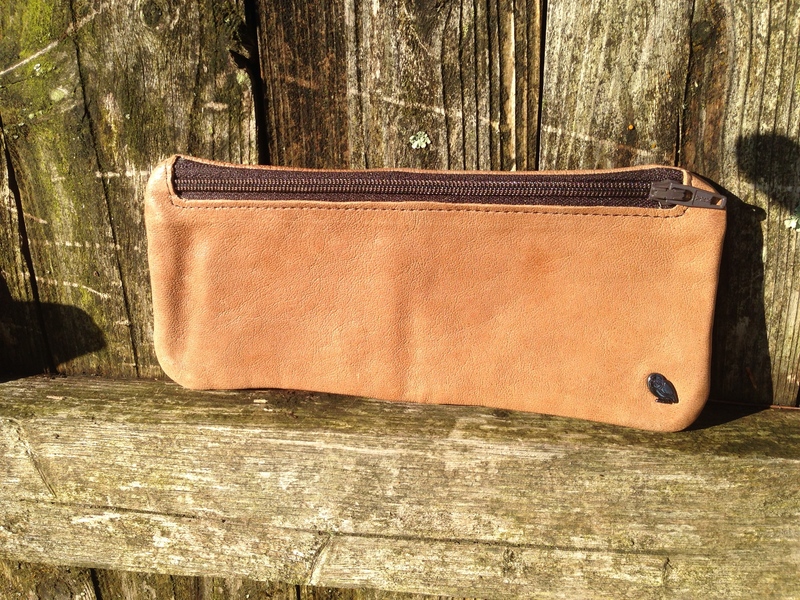 The zipper section keeps all items secure, there are also 2 more zipper compartments on the inside of the wallet. 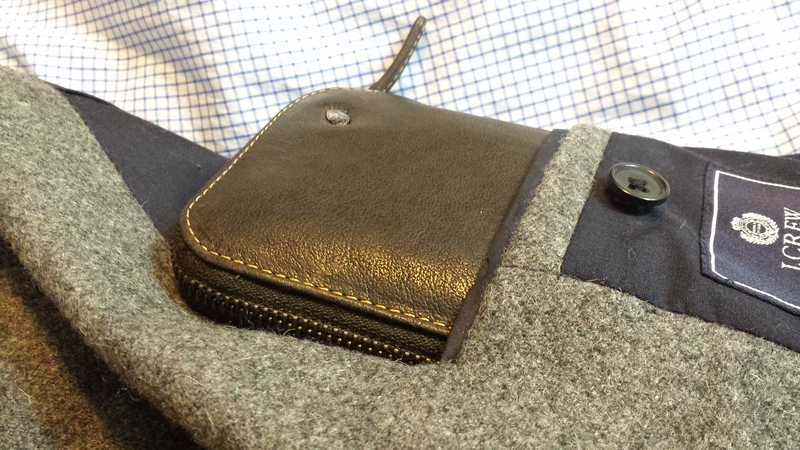 This wallet is a 2 for 1 style because there is an inner wallet that can detach for traditional back pocket use. The inner wallet connects with the larger wallet by two magnets. This is a great feature and allows the wallet to be more useful. My husband enjoys biking and other outside activities where a wallet of this size would be too bulky or inconvenient to carry. 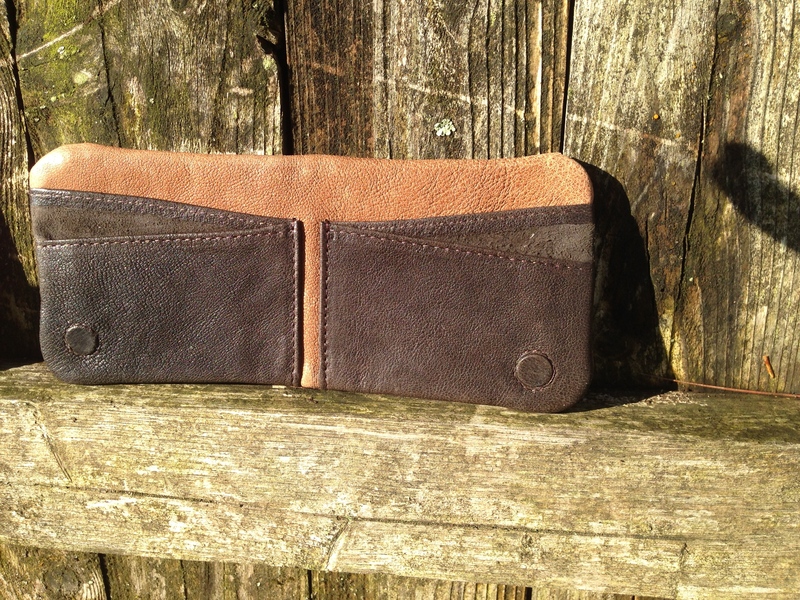 Being able to downsize when needed gives this wallet a versatility that many wallets don’t have. 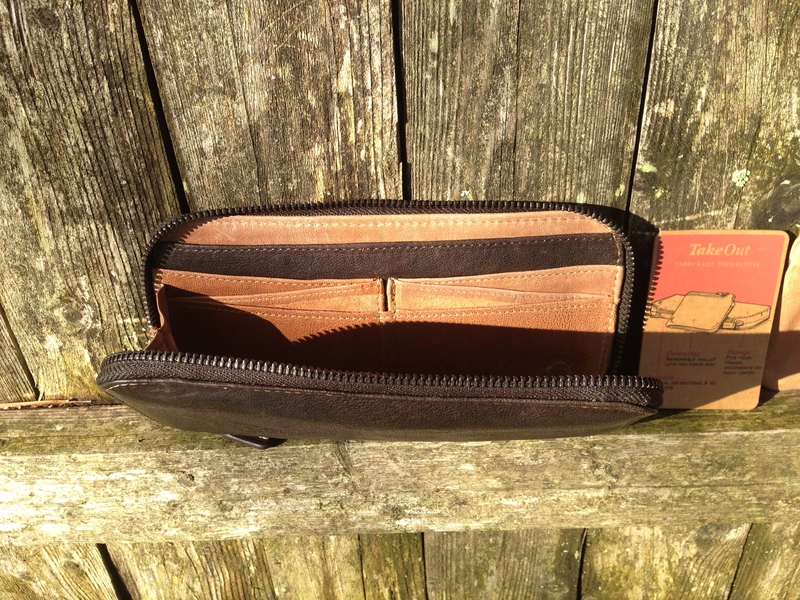 The Wallet Shoppe has several cool wallets for men.